The worst part of acne is the scars it leaves behind. When acne is developed, our skin may desperately try to heal the problem, which results in a scar. However, sometimes when you scratch or prick breakouts, the skin tissue gets damaged leading to a scar. There are two types of acne scars – Atrophic scar (indentations in the skin) and Hypertrophic scars (thick, dark bumps on the skin). Why Does Aloe Vera Help Acne Scars? Compounds such as polysaccharides and gibberellins found in it contain anti-bacterial property that helps combat acne bacteria, heal wounds and enhance cell growth.It has soothing and healing property that soothes painful acnes, accelerates the healing process and lightens scar. It acts as a natural astringent to remove excess oil, dead cells and reveal a clear, healthy skin. Its anti-inflammatory property reduces swelling, redness and soothes pain from infectious acne. Antioxidants it has fight free acne radicals and repairs damaged skin. While Vitamin E, C and zinc works on skin to light scars. 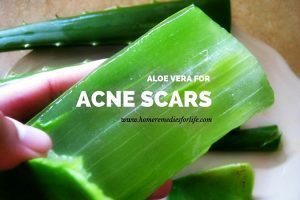 How Do You Use Aloe Vera for Acne Scars? Below, we have listed various methods of lightening the acne scars. You can try any one of them regularly until you until you achieve the results. Using aloe vera gel for acne scars helps to fight bacteria, clears blemishes and soothes painful pimples. Cut the leaf and scoop out the gel from inside. Apply the gel on the affected areas and leave it on for 10 minutes. Apply one more coat and massage the area paying more attention to the scars. Wash off the gel with clean water. Repeat the application twice in a day. Note: The gel can be applied on face, left overnight and washed off the next morning. You can also use packaged pure aloe vera gel from the market. The combination of aloe and chick pea flour helps to clear excess oil, dead cells and unwanted dust. It lightens acne marks and provides an even skin tone. Wash face with a mild aloe vera face wash to remove excess oil and dust. Mix 1 tablespoon of chick pea flour and 1 teaspoon of turmeric powder with enough amounts of aloe juice to form a thick paste. Apply the face pack and leave it to dry. Gently scrub skin with wet fingers to remove the pack and wash with clean water. Drinking the juice helps to flush out the accumulated toxins from the body. It promotes the glow and radiance of the skin. Be warned: for some people the juice can cause diarrhea and other discomforts. If you are consuming it for the first time then start by taking a very small quantity and increase it to larger dose. Add 2 tablespoons of fresh aloe gel to a glass of water and consume it on an empty stomach daily. For extra benefits: Add fresh ginger juice or lemon grass juice into the mixture. Alternatively: you can also add the juice to any non-acidic fruit juice. Note: Instead of freshly extracted gel, you can drink bottled aloe juice but it may not provide the same effectiveness as the fresh ones. The light coarse texture of turmeric acts as a gentle scrub. Both turmeric and aloe act as natural antiseptic to repair irritated skin, soothe painful acnes and lighten scars. Mix 1 tablespoon of aloe gel and a pinch of turmeric powder. Let it sit for around 10 minutes. Using wet fingers, gently massage for 5 minutes in circular motions. Continue the process 3 times in a day. It is an excellent remedy for removal of acne scars. Lemon and honey are natural bleaching agents. They help to clear blemishes and reveal clear skin. Mix equal quantities of aloe, honey and lemon in a clean bowl. Apply the mixture on the acne scars. Let it sit for couple of minutes. Massage the application for few minutes and wash off with cool water. Note: The mixture can also be applied on the face if there are no open acne wounds or bruises on the skin. Lemon should never be applied on open wounds as it can cause unbearable skin irritation. The vitamin E content present in almond oil moisturizes the skin and lightens the scars naturally. This combination is very effective in treating the scars. In a clean bowl, mix 1 tablespoon of gel and 2 drops of almond oil. Using a scrub, exfoliate the affected areas for few minutes. This helps to remove impurities from the skin. Now, apply the mixture on the affected areas. Massage with gentle strokes till your skin completely absorbs the mixture. Leave it on for 20 minutes and wipe off with a moist tissue paper. Note: You can also leave the application overnight and rinse off in the morning. Almond powder acts as a gentle scrub to remove dust and dead cells. Almonds are rich in vitamin E which is helpful to remove scars and promote healthy skin. It soothes skin, repairs acne wounds and lightens blemishes. Grind 10 almonds in a grinder to make a fine powder. Mix 1 tablespoon almond powder and aloe juice to make a paste. Spread the paste on the affected areas. With wet fingers, gently scrub your face to remove pack. Rinse off the application with clean water. Follow the method daily for a clear acne free skin. Many researches have suggested that tea tree oil is very effective in lightening the scars caused by acne and other injuries without any side effects. Combine 1 tablespoon of gel and 2 drops of tea tree oil. Repeat the process daily until you notice the results. Vitamin E oil has beneficial properties which heal the damaged skin tissue and helps it to rejuvenate. This combination is very effective in providing results quickly. Combine 1 tablespoon aloe gel and contents of 1 vitamin E capsule. Mix well and apply it on the affected areas. Rinse off the application with lukewarm water followed by cold water. Repeat the process once in a day to achieve effective results. Make sure you are not allergic to latex, onions, garlic and tulips or plants before trying aloe vera for pimple marks. If you are allergic to these then you are allergic to aloe also. Consult doctor before consuming the juice. It is also best to control start with small quantities. 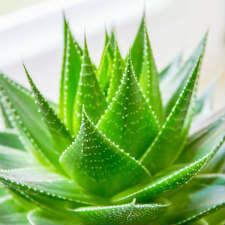 When using the aloe plant for acne, make sure to use only the gel part of the leaf. Take a facial steam before applying. It helps to open up the pores and enables deep penetration. Exfoliate the skin regularly to remove the dead skin cells and other impurities from the skin. Moisturize the affected area regularly as dryness doesn’t enable the skin tissue to recover. Use it based moisturizers for more effective results. If the acne scars are causing any irritation or burning sensation, then consult a dermatologist immediately. Using aloe for acne scars works in lightening the scars and preventing the future breakouts. If you have any queries or suggestions, write to us in the comment section below. Acne can be caused due to hormonal problems. Without balancing your hormones, it is not possible to get rid of acne completely. Having healthy diet and regular exercise will help in balancing your hormones. Also avoid sugar and dairy products. Don’t drink aloe if you have a cancer. Aloe makes new cells to appear and renews them. Both good and bad ones. Or so I’ve heard. what if these will not work for my face. I am using aloe vera with honey and lemon mask to clear red acne marks for 1 week … It clears my marks but not really. Is there anything else that i can use with this mask to get instant and best results?? As per your comment, we didn’t understand whether you are taking about open pores or acne scars. Yes, you can use. The combination is effective in reducing the appearance of the scars. However, make sure to follow the remedies regularly until you achieve the results. Plz tell me how can I remove rash for my oily face.i use patanjali alovera gel over night but no result. As per your description, the reason for the rash is unclear. Can you tell us more in specific to provide best solution for treating it? How long can I keep the concoction of aloe Vera gel and almond oil? Will it keep in an air tight container ? We usually recommend making a fresh mixture every time. But if you want to store then refrigerate and use it within a week. Yes, it can. Try it regularly without fail to achieve the results. Yes, aloe vera works effectively in treating acne scars as it contains antioxidants, astringent property, and is effective in accelerating the healing process. Apply aloe vera gel daily 2 – 3 times in a day to lighten the black mark. Good day doc, i have an acne scar how can i fix it? Try any method mentioned above in the article regularly to lighten the scar. Make sure to use only freshly extracted aloe vera gel for effective results. Apart from that exfoliate and moisturize the affected areas regularly. Is it okay to mix aloe, tea tree oil, AND almond powder? I really want to get rid of my acne and the scars fast!! Plz help! Thanks. Yes, you can. Try it regularly to achieve the results. I have pimples. I have also acne scars. If I only use the mixer of honey & aloevera gel.what’s will be happen?? 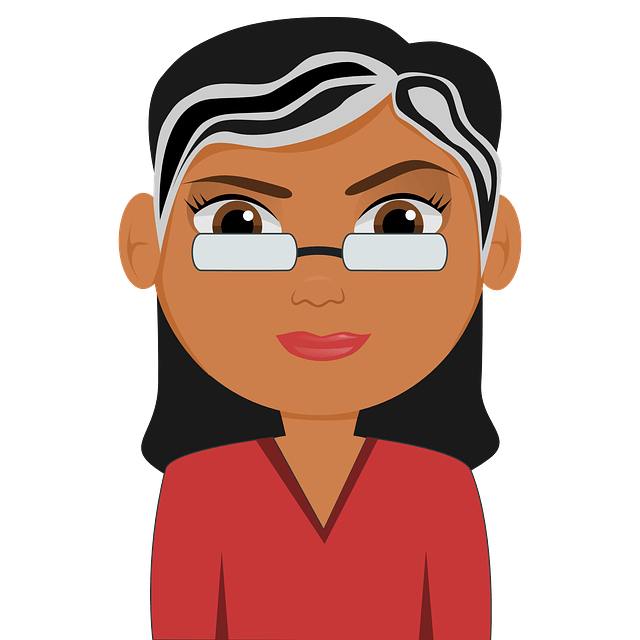 please reply……. The combination of honey and aloe vera gel is equally effective in treating both pimples and acne scars. So, try the process regularly until you achieve the results. Yes, it is safe to use aloe vera gel if you are not allergic to latex. hi, I am using aloevera gel + turmeric+ rose water. hi! I always get a bunch of pimple everytime.. especially if my menstration is almost coming.. their huge and bumpy!i really hate it! so my question is.. if i do mix honey and aloe vera and apply it twice a day, would my pimple will stop from bothering me?.. Yes, the mixture of honey and aloe vera helps to clear the pimples. We recommend trying the remedy as soon as you observe it because the more early you act, the more easily it can be cleared. can i use aloe once a week and for how long? Yes, you can use aloe vera once a week. The time period is difficult to say as it depends on the person’s skin texture, healing capacity and other factors. So, we recommend repeating the process until the scars completely fade. Aloe vera and vitamin e capsule mixture is useful for acne and scare? Yes, you can use aloe vera and vitamin E oil mixture to treat acne scars. Vitamin E heals the damaged skin tissue and helps it to rejuvenate. Antioxidants found in aloe vera fights free acne radicals and repairs damaged skin. If I mix aloe vera and garlic ? Is this good combination? Yes, aloe vera and garlic is an amazing combination of treating acne scars. Can aloe vera fades scars in 1 mnth???? It is difficult to tell the exact time frame as everyone has a different skin texture, healing capacity and other factors. So, we recommend to try it regularly. For effective results, you can exfoliate and moisturize the affected areas regularly. Yes, you can use the combination to clear the acne scars. Which of above methids works the fastest? My son is taking aloe vera juice and it has helped stop breakouts tremendously now he has the aloe raw and wants to know best way to remove scars.. thank you! You can try 4, 7 or 9th method mentioned above in the article. Yes, you can put aloe vera on face to reduce the burn. Hi,l have pimples for know 4 years and it has made my face to have black spots.am know using aloe vera body luxe will it help me or what? How long before I see results from mixing aloe vera and turmeric for acne dark marks? Is aloe vera could fade deep acne scars? How long does aloe vera gel takes to fully effect ? can i use a facial wash first before aplaying a aloe vera gel ? can i use facial wasg first before applaying a aloe vera gel ? i was using aloe vera for 1 year and it works like a magic my skin was healthy and glowing skin.then i stop applying aloe vera..and after 1 year i have red spots on my skin due to pimple for last 8,,9 months..and i got a pimple 1 month ago which left brown spots…and i start again applying aloe vera on my skin.. i have heard that potato is also good.. so should i continue with aloe or potato? Hi mam,Can I use mixer of aloe vera and honey on face daily??? Another doubt mam…Before applying aloe Vera gel on face need to take facial steam daily?? ?